Dark spots on your skin can really concern you and make you self-conscious. 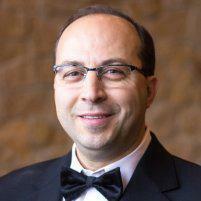 Ousama Moammar, MD understands and offers medical and aesthetic care at his clinic in Frisco, Texas. The team at Legacy MD provides non-surgical removal of your age spots, sun spots, and other pigmented lesions. Call the office to schedule a time to come in or book an appointment online. Age spots, moles, freckles, melasma, sun damage, and other dark brown or black spots on your skin are called pigmented lesions. They’re caused by an overproduction of melanin by specific cells in your body called melanocytes. Given the rise of skin cancer, it’s normal to worry about unsightly dark spots on your skin. In most cases, dark moles, freckles, or lesions are not cause for concern. Before you decide on an aesthetic treatment, Dr. Moammar first eliminates the possibility of cancer by evaluating your skin and doing a full health check-up. If he thinks it’s necessary, he may take a small biopsy of the area to send to the lab. At Legacy MD, the team of highly skilled aesthetic technicians reduce the pigment in your lesion with non-surgical laser technology. Dr. Moammar prefers the innovative PicoSureⓇ laser to break up and lighten the dark areas on your lesion. How does PicoSure work on pigmented lesions? PicoSure pinpoints light energy directly on your pigmented lesions and dark spots. With its signature Focus lens, PicoSure forces short bursts of heat through your skin to break up the pigmented areas. Your body’s innate immune system absorbs and dispels the pigment over the next few weeks and months. What can I expect after a PicoSure treatment for pigmented lesions? Not only does PicoSure lighten dark areas, but it also revs up your skin’s collagen and elastin production, two key components of vibrant skin. As you monitor your lesion as it lightens, you’ll also notice that your wrinkles are less noticeable and your skin looks younger and firmer. Just after treatment, you’ll have minimal redness for a couple hours. There’s no need to schedule time off of work, school, or your regular activities. You can resume your normal activities right away. Depending on how dark your lesion is or how many are being lightened, you may need a series of PicoSure laser treatments to get the best results. Each session is only 10 or 15 minutes, so you can schedule them on your lunch break, after school, or just before work. If you want to improve the appearance of a pigmented lesion, call Legacy MD to book an appointment or use the online scheduler to reserve a time to see Dr. Moammar.